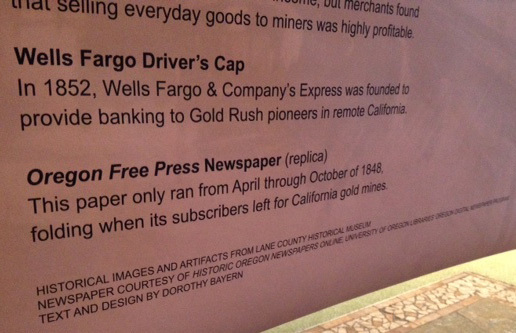 Home › Announcements › Gold Rush Era Exhibit Features Oregon Free Press! 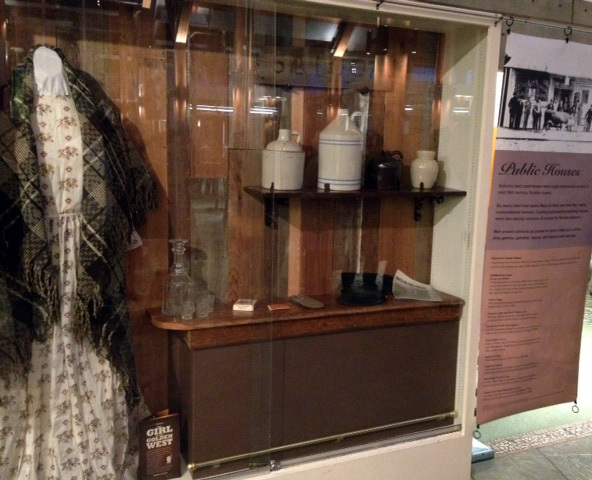 The exhibit, which included women’s clothing from the 1850s, an antique saloon sign, a gold dust bag, and other items that would typically have been found in a Gold Rush Era saloon, was created and coordinated by Dorothy Bayern, a graduate student in the University of Oregon’s Folklore program, as part of her terminal project for her Master’s degree. 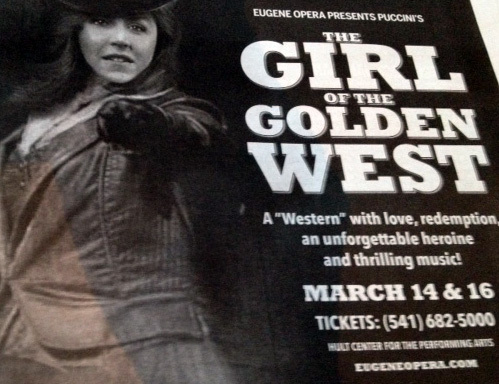 “Women of the Gold Rush West” exhibit display case at the Hult Center in Eugene. Exhibit signage explains items on display, with credits to Lane County Historical Museum, Historic Oregon Newspapers online, and exhibit designer Dorothy Bayern. This excellent exhibit is now available for viewing at the Lane County Historical Museum through the end of March, so go check it out if you can! 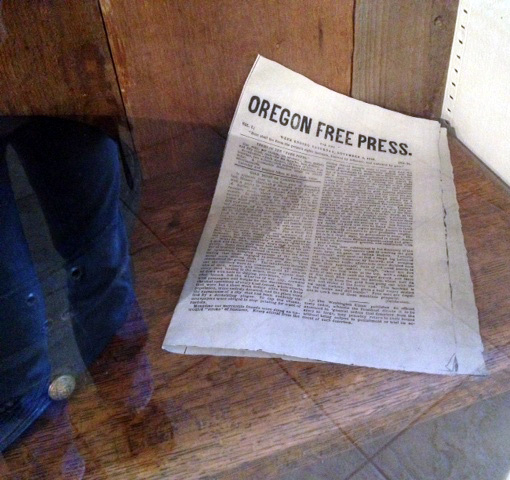 Many thanks to Dorothy Bayern and the Lane County Historical Museum for including this unique Oregon newspaper in the exhibit! Very well done! Not only does the Lane County Historical Museum have mining equipment and accessories from when early Oregonians traveled to California for the gold rush, gold mining also took place right here in Lane County! The Bohemia Mining District outside of Cottage Grove was on of the larger operations but there was also gold mining taking place along the McKenzie River.